A man and a woman wanted for kidnapping two children from Las Vegas in 2006 were arrested Tuesday night in north suburban Russell, or near the Illinois-Wisconsin border. A Lake County sheriff’s deputy on patrol spotted “suspicious activity” in the parking lot of Truckstops of America in unincorporated Russell about 11:20 p.m., according to a statement from the sheriff’s office. The investigation led to the arrest of Maria Rosaline Malagon-Castillo, 40, and Victor Manuel Ruiz-Garcia, 39, who were both wanted on arrest warrants for a non-custodial parental abduction in Las Vegas in 2006, the sheriff’s office said. The two children had been declared wards of the state of Nevada in 2006, and the parents had fled the state with the children to avoid an investigation into allegations of drug abuse by Malagon-Castillo while she was pregnant, the sheriff’s office said. Both of the children, now 14 and 9 years old, were listed as missing through the National Center for Missing and Exploited Children, according to the sheriff’s office. They were found by Lake County sheriff’s deputies in the 7800 block of 88th Street in Pleasant Prairie, Wisconsin. The children were turned over to a family member with the permission of the Clark County, Nevada, Department of Family Services pending a review of the case, the sheriff’s office said. The investigation also showed that Ruiz-Garcia was in possession of a fake Nevada commercial driver’s license that had been suspended, the sheriff’s office said. 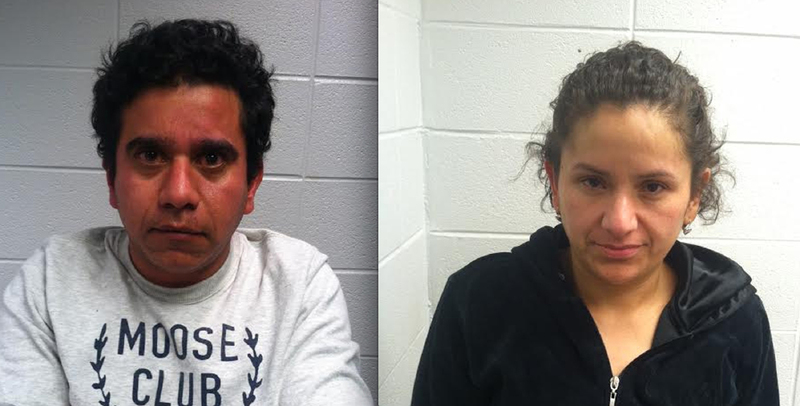 Ruiz-Garcia and Malagon-Castillo, who both live in Pleasant Prairie, are being held without bond at the Lake County Jail pending extradition to Nevada. This entry was posted in Uncategorized and tagged Abducted Child, Abduction Nevada, Child Recovery Services, Las Vegas Kidnapping, Manuel Ruiz-Garcia, Maria Rosaline Malagon-Castillo, Parental Abduction, Retreave Abducted Child. Bookmark the permalink.